The freight forwarding agent has become a dominant player in the Hungarian market of air and ocean freight as well as trucking and contract logistics. Currently, cargo-partner runs three stations in the greater Budapest region contributing 8% percent of the entire import and export tonnage handled at BUD Airport. They aim at 10 percent by the end of next year. Domonkos Molnar is not suffering from any inferiority complex. The Hungarian national has learnt the forwarding business from A to Z at cargo-partner’s headquarters in Vienna. 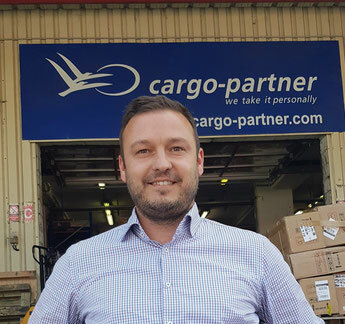 The knowledge and experience gained there qualified the multilingual manager (Hungarian, German, English) to take over responsibilities for cargo exports at the Austrian agent’s station near Budapest Airport after he returned to his home country in 2014. Turning to this year’s performance, cargo-partner’s local chief of freight exports speaks of an impressive volume growth of 40 percent in the last two years. Not only his company, other agents too, are strongly benefitting from an industrial boom affecting the entire country. While in the past, imports dominated strongly, exports have nearly closed the gap, shown by statistics presented by Mr Molnar: “During the last couple of months we came close to a 50/50 import-export ratio, both trades growing by the double digits in volume,” he proudly says, indicating a change of paradigm. The remarkable upswing of exports is triggered by an investment boom. Shown by car makers such as Mercedes, Audi or Volkswagen that poured a lot of money into their Hungarian plants. Similarly, Huawei and Samsung together with other companies from the Far East have increased their activities in Hungary or started producing goods there as well. Meanwhile, “we are the world’s seventh most popular investment destination, according to a 2017 market report from the U.S.,” proudly emphasizes Róbert Ésik, president of the Hungarian Investment Promotion Agency (HIPA). For the agent’s ground staff, this is a highly demanding task, since sea freight containers are anything but ideal places for handling and processing packages and boxes. They are way too narrow for enabling smooth operations. cargo-partner was among the first forwarding agents that signed a tenancy agreement with the airport management, this way securing sufficient handling and office space in Budapest Airport’s future Cargo City. 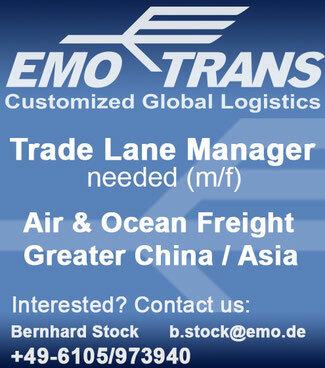 The manager also points out a new trend which further stimulates his company’s cargo business. “An increasing number of Turkish freight agents knocks at our door, asking for handling and processing their shipments.” The explanation for this rather surprising advance: Istanbul’s Atatuerk Airport is jammed, and handling costs exceed those demanded by agents doing business at BUD. “For the Turks it is sometimes cheaper to truck their consignments to us to fly them off from here than to utilize one of the Istanbul Airports.” cargo-partner offers these new customers door-door air freight services with maximum transit times of eight days, provided the trucks coming from Turkey arrive at the company’s BUD station according to schedule. Commenting on the construction of a new Cargo City, Attila Becze, Director Sub-Region Hungary and Romania and MD Hungary at cargo-partner stated: “The recent turning of the sod is great news. We have been waiting for the project to be kicked off for more than 10 years.” The manager adds to this that cargo-partner in Hungary has been growing year over year, reaching volumes that now require a state-of-the-art logistics building at the airport. The volume handled in BUD airport has seen extreme growth in the last couple of years, new airlines have started direct flights to and from BUD, this way adding to the cargo capacity as well. 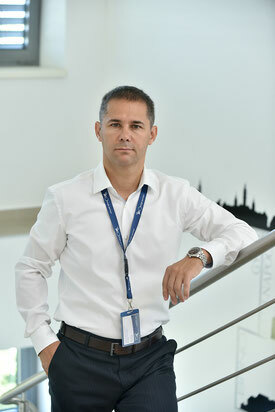 “All these positive changes today make BUD airport attractive for the surrounding countries, challenging companies to redesign and consider their product flows and supply chains via BUD airport,” said Mr Becze. The three cargo-partner stations in Hungary provide tailor-made solutions for air, road and sea transport needs, and offer clients contract logistics services on 30,000 sq m of warehouse area.